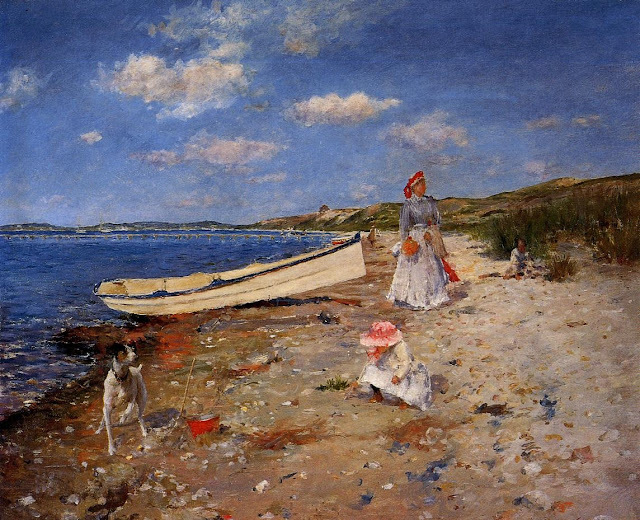 Infinite Art Tournament: The Infinite Art Tournament, Round 1: Chardin v. Chase! The Infinite Art Tournament, Round 1: Chardin v. Chase! Chardin! Crisper and at least somewhat interesting scenes. I'm forever voting for Chardin. Woo, an easy one. 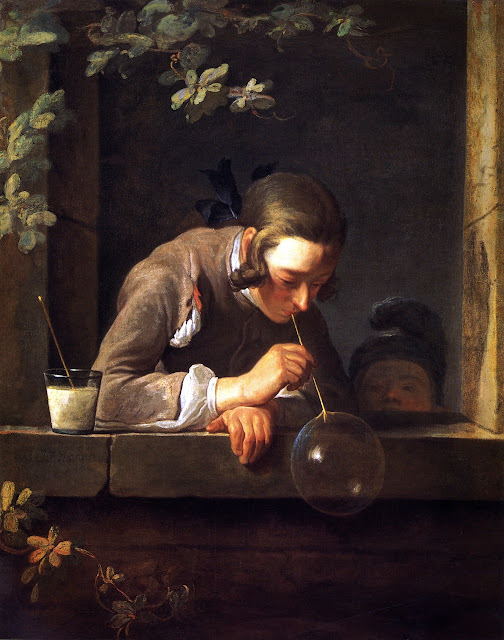 Chardin! I gotta say Chardin too. Love the bubble man. Chardin! How about Picture #2 for 18th-century non-Rococo wonderfulness? Of course, had I read the wiki article on Chardin first and was undecided for some reason, I think this line would have sealed the deal: "Though his popularity rested initially on paintings of animals and fruit, by the 1730s he introduced kitchen utensils into his work...." (http://en.wikipedia.org/wiki/Jean-Baptiste-Sim%C3%A9on_Chardin). I have to say, Michael5000, saving the kitchen utensils for a later round was very clever. Very clever indeed. I just looked up the Wikimedia Commons on Chase, and this isn't as clear-cut as I thought it was! 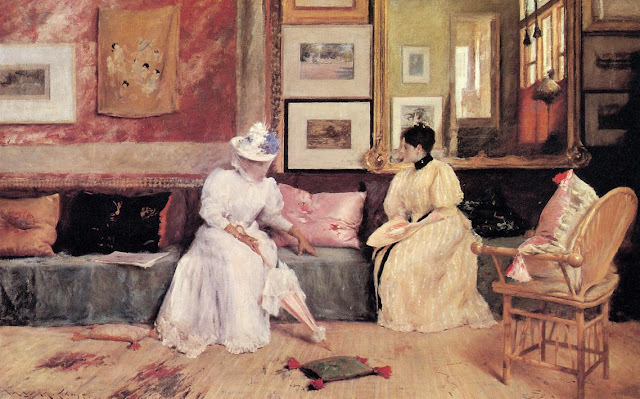 He's not quite John Singer Sargent, but some of his work definitely reminds me of Sargent. Actually, no! I've changed my mind! I'm going to have to go with Chase because I've seen what else Chardin has to offer and how many different kinds of dead animals did that guy paint?! Chardin, although it might not be quite fair since my current condition highly biases me against blurry pictures. 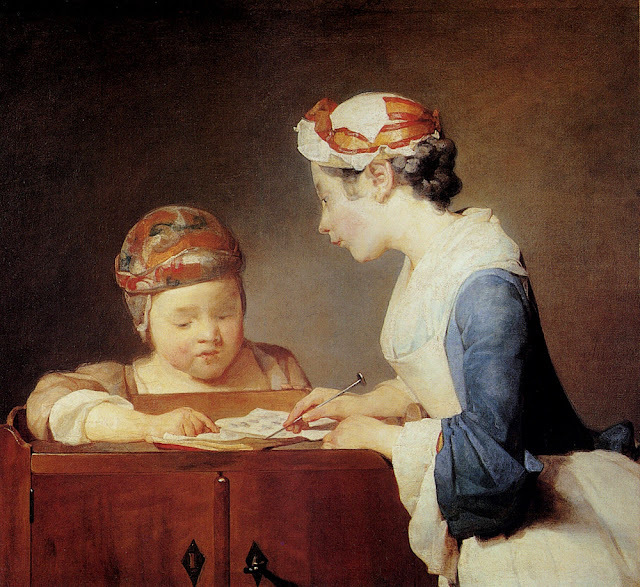 This is a pretty stiff first-round pairing, but I think Chardin takes my vote for narrative content (you can tell at a glance that she's not the world's greatest tutor and is yet more than qualified to work with young Master Dimwit) and mastery of technique. Tricky stuff, painting a bubble. Chase would win based on composition in the first painting and use of color in the second, except I already gave my vote to Chardin. Chardin, enthusiastically, for both Nichim and I. Our habitual postcard voter declares this pair a tie. Chardin blasts Chase 8-1; we'll see how he does against De Chirico in Round Two. Voting is closed in this one.